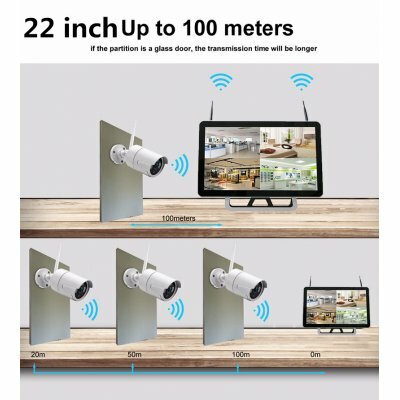 Successfully Added 22inch 4 Channel NVR Kit - Linux OS,4x HD Camera, 720P 10-Inch Display, Nightvision, WiFi Support, SATA Hard Disk, 4TB Storage C to your Shopping Cart. This 4channel NVR kit offers you all means necessary to take your home security to the next level. It comes with four waterproof cameras that can be used for both indoor and outdoor purposes. They support internet connection thanks to which you’ll be able to access all their recordings from afar. Whether you wish to watch back previous recordings or enjoy real-time footage – it’s all possible with this NVR kit. No matter where you’re at, from now on you’ll always be able to access your security cameras remotely and keep on eye on your property. With this 4 Channel NVR kit, you can be assured that nobody will approach your property undetected. 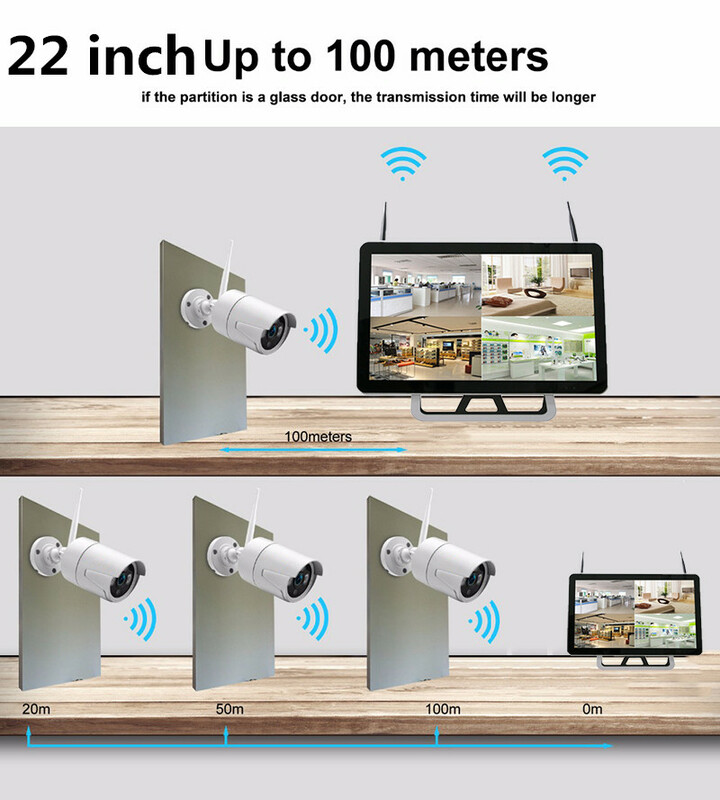 Each of the 4 security cameras supports 720x1080p resolution. Because of this, you will be treated as high detail and clear images at any time. They also wrapped up 3 infrared lights to bring 30M night vision capability. Your property will be fully protected by day or night. Because the NRV system uses 4 IP cameras, it is the perfect safety suite for home safety and small offices. Whether you put them indoors or outdoors, these security cameras will capture any movement in the area. NVR itself runs on the Linux operating system, which brings ease of use. On its 22 inch wireless display, it allows you to review the previous recording immediately. Because of its WiFi connection, you will be able to place your monitor remotely without any cables. This makes your NVR toolkit easy to install and use. By supporting the SATA interface with the largest capacity of 6TB, the security system can store a large number of valuable records. With this NVR around you, you can rest assured that your property is always in the safe hands.